Run or bike–don’t walk–to the New York Times to check out their Room for Debate series on bike lanes. My favorite of the five different takes on bike lanes comes from Felix Salmon, the Reuters blogger, who pleads for patience: “Did these people really think that New York would become Copenhagen overnight?” I would argue that Copenhagen didn’t become Copenhagen overnight. Caroline Samponaro of Transporation Alternatives adds some empirical evidence to this point in her piece. Bike lanes insert order on streets that were once governed by chaos. 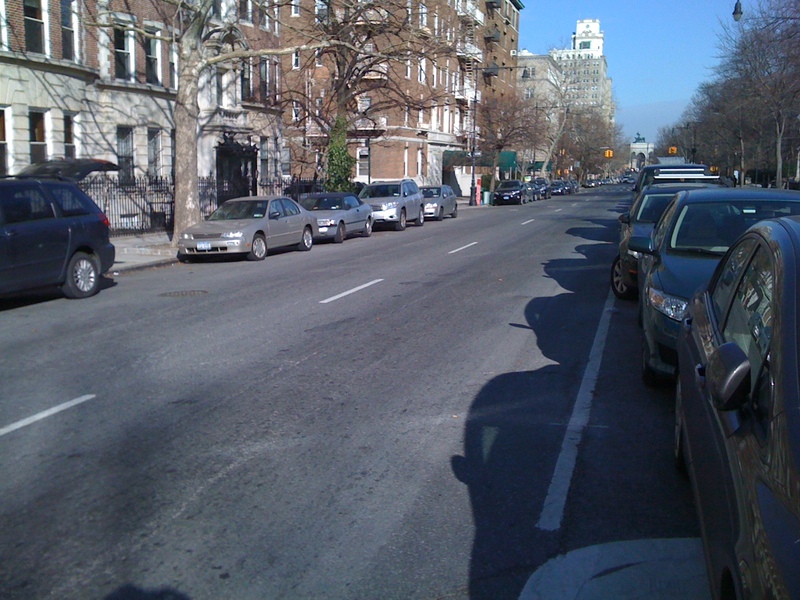 Before bike lanes came to Brooklyn’s Prospect Park West, 75 percent of cars were speeding. With the lanes installed, fewer than one in four cars break the speed limit. On Manhattan’s Ninth Avenue, sidewalk cycling fell 84 percent after the bike lanes went in. According to the Department of Transportation, streets with the lanes see 40 percent fewer fatal or injurious crashes than streets without them. Even Sam Staley’s essay, which argues that frigid temperatures will make biking only “a small part, even tiny part in most cases, of America’s solution to congestion and mobility,” seems reasonable, although I suggest he visit Copenhagen and Amsterdam, or take Salmon’s advice to be patient. If one day cycling infrastructure is woven into the fabric of New York City streets, falling mercury will hardly be a deterrent to getting around by bike. On that point, I leave you with this picture of Prospect Park West, taken midday yesterday. Can we get rid of the car lanes?